In addition to standard pallet rack, there are many other types of racking systems that have various uses and purposes in industrial settings. 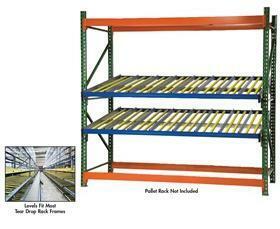 Some of the different types of racking systems that we have experience with are listed below. Your racking system is one of the most important aspects of your facility, and the right system can help you take advantage of every available foot of space in your warehouse. If you already have a design for your warehouse and know what materials you need, the S. W. Betz Company can acquire and install the materials for you. If you need a design for your warehouse, we can supply a design for you that will help to best utilize your available space. If you are in need of or would like more information on any of our racking systems, please contact us and one of our team members will be happy to assist you. For more information about Racking Systems or any other product or service from S.W. Betz, fill out and submit the form to the right.